As a college student, can you really afford to buy a tablet? The question should be, how can you not afford to buy a tablet? Today’s tablets offer viable alternatives to a traditional laptop in a more compact, and often less expensive, package. Many tablets now feature powerful processors, which make them an ideal productivity tool. Familiar apps like Microsoft Office, Apple iWork or the Google suite can easily be installed. High-resolution displays are ideal for reading documents on, with tools like a stylus or a keyboard to make entering text much easier. Let’s take a look at what a student needs from a college tablet, before recommending five of our favorites. Perhaps the most important consideration for many college students is the cost. Tablets can range from under a hundred bucks to a thousand dollars or more. Set a budget and try to choose a tablet which can be used for both work and play. The size and quality of the display will affect how much use you can get from your new tablet. A screen size of at least 10 inches will be more suitable for editing documents and also streaming movies. The higher the pixel density of the screen, the sharper the text will be. Processor speed and storage memory can be important if you intend to use it as your main work device. Try to aim for at least a quad-core processor and 64 GB of storage. Most tablets now feature MicroSD card slots to expand the storage, and also as a way of transferring data. Finally, the operating system the tablet uses can affect which apps you are able to use. Apple tablets are great if you use a Mac, but tend to be incompatible with everybody else. Android offers a bit more versatility, but for true integration, you should be looking at Windows—still the world’s most used OS. With so many tablets available, it can be hard to decide which is the right tablet for college or university. We’ve looked at many of the top-selling tablets to bring you our favorite five tablets for your years at college. Although some may not fit into the budget category, choosing the right tablet now can prevent you having to spend more money later on. The latest in the Microsoft Surface range of 2-in-1 tablets, the Surface Go is a more compact and less expensive device, ideal for students. Windows is still the dominant OS used today, and this tablet will ensure compatibility with any of your college files or other devices. If you have never been a fan of mobile operating systems, the Surface Go runs a familiar Windows 10, but in S mode. Due to the lower performance chipset used, Windows 10 S limits which apps you can install from the Windows store. However, most of the essential apps, including Office 365, are there for use. Students will find it hugely beneficial to have the full Microsoft Office suite, so they can fill the device with spreadsheets or documents. 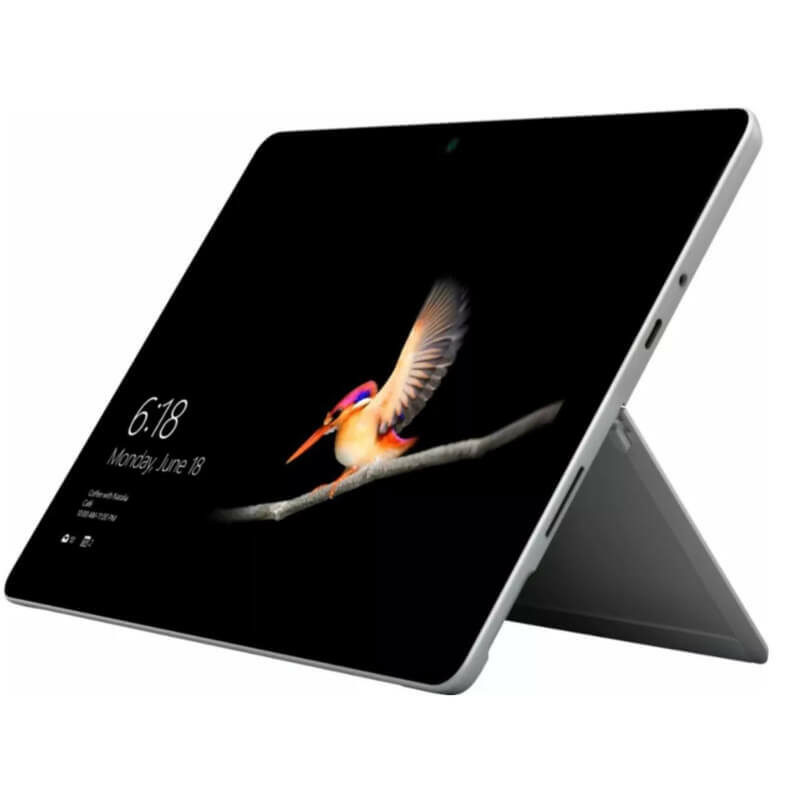 The compact size, even with the keyboard attached, makes it more suitable than its big brother, the Surface Pro, for taking notes in lectures. With the additional stylus, the Surface Go comes into its own as a digital handwriting pad. An HD PixelSense screen is just as at home for sketching detailed illustrations or watching movies. The CPU employs Intel HD 615 graphic, similar to those found in gaming laptops, with an impressive 3D performance when gaming. For work or play, the Microsoft Surface Go is the closest you can get to a laptop in a tablet. USB connectivity makes it easy to swap those files with fellow students, or even watch the latest downloaded movie. Much more affordable than the Surface Pro. Stunning Microsoft PixelSense IPS display. Storage can be expanded with a MicroSD card. USB Type C connectivity for charging or blistering fast accessories. Impressive 9 to 10-hour battery life. A sturdy built-in kickstand for use as a notebook, easel or watching films. Premium stylus with 4096 levels of sensitivity. Not as powerful as the iPad, even the 9.7-inch iPad. Surface Pen and keyboard cover are expensive additional purchases. Nothing screams techy lust more than the Apple iPad with its sleek design and glorious retina displays. Although the new 9.7” iPad now comes with stylus support, last year’s iPad Pro 10.5 offers a decent compromise between the basic iPad and the top end Pro range of 2018. Do you find the regular iPad display too small for you? The 10.5-inch iPad is ideal for reading your e-textbooks, with one of the highest pixel density displays you can get. Text and images are crisp and sharp, with more pixels than the human retina can actually see. It’s still quite pricey, although a lot cheaper than a MacBook, even when you buy the optional stylus and smart keyboard. Apple’s custom A10 chip and 4GB of RAM make for seamless multitasking. Most of the apps you use on a Mac, like Pages, Numbers or Photos, are included as standard iOS apps, ready to use out of the box. The iPad Pro can make organizing your class notes and schedules a lot easier. And, of course, when it comes to time for play, movies look and sound great, on a 2224 by 1668 resolution screen, with four speakers. If you’re an Apple fan and don’t relish the idea of a move to Android or Windows, the iPad Pro 10.5 offers great value for money. Performing the same functionality of your MacBook, but with no external storage, you will rely a lot on iCloud for syncing data. Slimline design with an amazing display. Embedded co-processor offers faster graphics for mobile gaming. Impressive photos and HD videos form 12 MP rear camera. Comes with a suite of productivity software pre-installed. Pencil works brilliantly with optimized apps available. 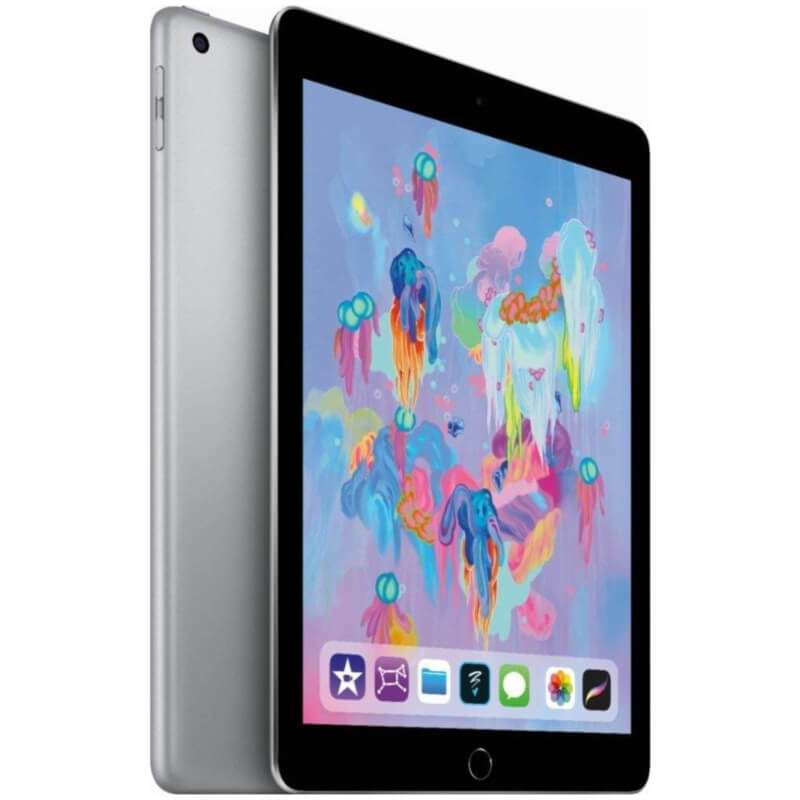 Available at a decent price due to the launch of newer iPad Pros. No facility for extra storage or increasing internal memory. Official Apple peripherals can be expensive. Locked into the Apple ecosystem. No support for unauthorized media, or non-approved apps. 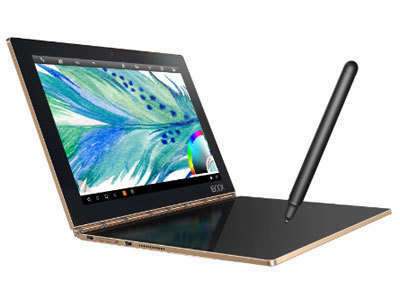 The Lenovo Yoga book is one of the most versatile tablets we have looked at. A tactile touch keyboard also doubles as a digital sketchpad, making this the ideal tablet for art students. This innovative 2-in-1 tablet from Lenovo is available as either an Android or Windows tablet. As it doesn’t have the highest of specs, it’s probably best to choose the Android version, and it’s cheaper too. Despite its small form factor, the Yoga Book still offers a full HD 10-inch screen with loudspeakers, ideal for watching educational videos. Using Android Marshmallow, you have full access to the Google Play store for a range of productivity apps, including Google suite. What makes it so revolutionary, almost a tablet in its own category, is the 360-degree swivel hinged pad attached. When you need a keyboard, it lights up in what Lenovo refers to as a “Halo keyboard.” At other times it can be used as a pad for jotting down notes or sketching your latest art project. With the ability to attach a piece of paper to the digitizer pad, you can also keep a hard copy, using a switchable inked nib in the stylus. For college work, this tablet is an affordable productivity tool, which even includes a stylus out of the box. Affordable, at less than an iPad and many other 2-in-1 Android tablets. Lightweight, at less than two pounds. Keyboard is surprisingly good to type on, with haptic feedback. A 360-degree hinge allows for use in any position. Bright IPS full HD Display with 16.9 million colors. 8,500 mAh battery provides 15 hours of battery life. Low specification Atom processor will struggle with multi-tasking. No handwriting OCR recognition software. No USB-C, only the woefully slow MicroUSB port. Amazon Kindles have been a useful device for many students in the past, as an alternative to heavy textbooks. 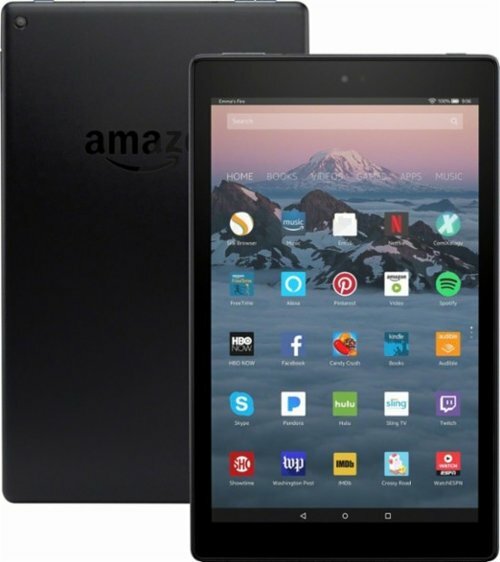 The Amazon Fire tablets are more than just an e-reader and an economical alternative to some more premium tablets. A 10.1-inch full HD tablet for under 200 bucks, what’s the catch? Unfortunately, it’s the Fire OS, which limits what apps you can buy to the ones available on the Amazon app store. Although it’s a version of Android, it doesn’t feature the Google Play store. Having said that, the Fire HD is compatible with most of the popular apps a student could want. Apps like OfficeSuite allow you to create and edit MS Office documents, and there’s even a cloud version of Evernote, for taking notes. Using a simple generic stylus, you can even use it as a handwriting tablet. Don’t expect the performance of an iPad Pro or Microsoft Surface for productivity, but for media consumption, it’s excellent. Many colleges now have Kindle online libraries, where you can “borrow” the books in digital form. The full HD screen is perfect for streaming movies and you can even play casual mobile browser games on the Fire. Quad-core processor and 1.5GB RAM for speedy performance. Full HD 10.1-inch screen with anti-glare coating for reading all day long. 16:9 screen ratio and Dolby ATMOS stereo speakers are ideal for movies. Front facing VGA camera is perfect for calling home with Skype. 32GB or 64GB internal memory can be expanded with a MicroSD up to 256GB. Office productivity and note-taking apps available. Amazon App store is very limited, compared to Windows, iOS or Android. Sometimes you can’t decide between Android and Windows. This budget Chinese tablet offers the option of both in a dual boot device. It’s an okay Windows device, but a much better Android tablet. This is one of the lowest priced Windows 10 tablets you can find and has the bonus of a dual boot with Android. The build quality is surprisingly good for a tablet at this price, and it even features an impressive full HD 10.1-inch display. A stylus, the HiPen H2, is electronic, easy to charge via MicroUSB, and works great with Windows apps like OneNote or the Edge browser. The optional keyboard uses a magnetic connector and allows for easy typing of essays or other documents. Like most Chinese tablets, it doesn’t feature the highest performance chipsets, running an Intel Atom X5. This is where it’s beneficial that you can choose to use Android for a faster performance on basic tasks, like watching movies, catching up on emails, or playing simple games. For the budget-conscious college student, the Chuwi Hi10 Pro offers incredible value for money. It can fulfill the role of a budget laptop for study-related work and then change into a decent Android tablet for social use and play. 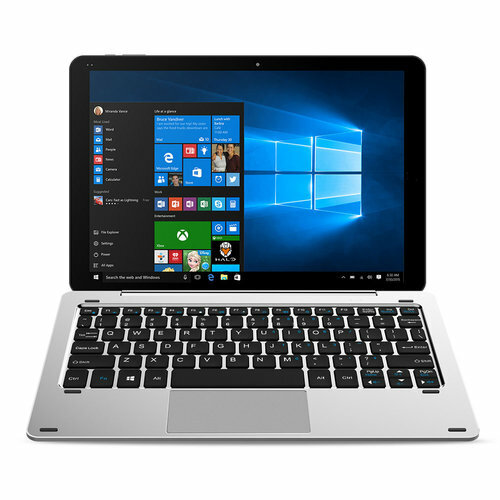 Affordable Windows 10, 2-in-1 tablet with a bonus of Android OS. Solid build quality for the price, with a metal chassis. The full HD display is extremely bright, with a decent color gamut. 224 PPI provides clear text when viewing documents or reading texts. Keyboard and stylus available for note-taking and more productivity. Good connectivity options, with two full-sized USB ports and a USB 3.0 Type C port. Memory can be expanded with MicroSD card. Long battery life at 9-10 hours. Older Atom processor and single-channel RAM offers a slower performance than other better-known tablets. Only uses Android 5.0, with no upgrade facilities out of the box. Poor quality speakers let down the tablet for watching movies or TV shows. Cameras are low resolution and only really suitable for video calling. Despite the efforts of Android and Apple iOS, Windows is still the dominant operating system used in professional circles today. Many of the files you will need for your college work may only be compatible with Windows devices. And most of your friends will have experience with Windows too. For this reason, our choice for the best tablet for college is the Microsoft Surface Go. It may cost more than some Android or Apple devices, especially when you add the keyboard and stylus. However, it is more of a true laptop replacement than the iPad Pro or an Android tablet. Windows isn’t going anywhere soon, and the Surface Go will last you all your years at college. You can use all the programs and apps you’re likely to experience in the real world of work, and it’s great for watching movies on too. College isn’t just about the work; play can be just as important.